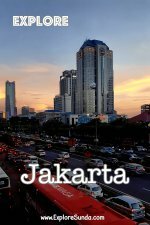 Although the main scope of ExploreSunda.com is within the land of Sunda, over the years we also take vacations to interesting places outside this land. Thus, I will compile them all in this section. Java is the most populous island in Indonesia. It has always been since centuries ago, when Buddhist, Hindu, and Moslem dynasties ruled Java. Some of the kingdoms were so powerful that their powers spread over the island and had trade treaties with overseas kingdoms, such as China. Nowadays, we still can see their greatness through the artefacts archeologists found. For one, Java has the most temples in Indonesia, including Borobudur, which is one of the Seven Wonders of the World. Most of them are made of stones, but some are made of bricks. Java is more than just the greatness of the past. We also can find many fun places for family vacations, such as zoos, parks, and shopping places. So, let’s start explore these great places! Jawa Timur Park 2 uniquely combines children rides with a zoo, a safari farm to feed several species of herbivores and a natural wildlife museum. 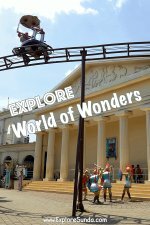 Thus, with 1 ticket we will be able to explore Batu Secret Zoo and Museum Satwa, as well as take rides and have fun in the water park. Eco Green Park in Batu Malang, is a grand park mostly covered with big trees and greenery, where we can have a fun family vacation while educating ourselves with ecology and green living. It also has an insectarium and huge collection of birds. Museum Angkut claims to be the Asia's first and biggest museum on transportation, but the real highlight is it uniquely displays various vehicles in several movie sets theme. Then, we can enjoy dinner and shopping some souvenirs in Pasar Apung (Floating Market) and explore D'Topeng Kingdom Museum, since all of them are located in the same complex. 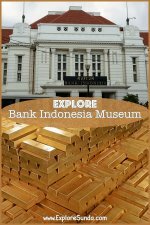 Yogyakarta, the center of cultural heritage in Java, has many interesting places to visit. Therefore, we compile the top 5 activities you should prioritize when you visit Jogja. Gedong Songo is a complex of small Hindu temples. It consists of nine temples, scattered in the slope of Ungaran mountain. Thus, it is called Candi Gedong Songo, since in Javanese language Candi means temple, Gedong means building, and Songo means nine. The trip to Candi Gedong Songo is a memorable family vacation since it is a great combination of historical site, beautiful scenery, cool weather and fun horseback riding. We can see collection of hundreds antique batik in Museum Batik Yogyakarta. The tour guide will explain the process of producing batik and the different patterns and colors of batik from different regions. Gembira Loka is a great zoo located in the heart of the city of Jogjakarta. It has a good collection of wild animals. We can observe Jackass Penguin, Aldabra Tortoise, orang utan, chimpanzee, sun bears, crocodiles, tigers, elephants, deer, horses, ostrich, porcupine, various kinds of birds and many more. We can feed the birds, see performances of some of the trained animals and watch the zoo keeper feed penguins, tigers, chimpanzee, arapaima, snake, and little black cormorant seabird. We also can have fun in the lake or get lost in Gua Sarpa Garden. Are you ready for a fun day in Gembira Loka Zoo? First, read the full article here..
Batang Dolphin Centre is a part of Taman Safari Indonesia. It is a mini safari and a dolphin conservatory where we can watch dolphins swim, play and perform. The Mini Safari contains orang utan, leopards, peacocks, snakes and aquariums. Since it is located in Sigandu beach, we also can see and play on the beach.